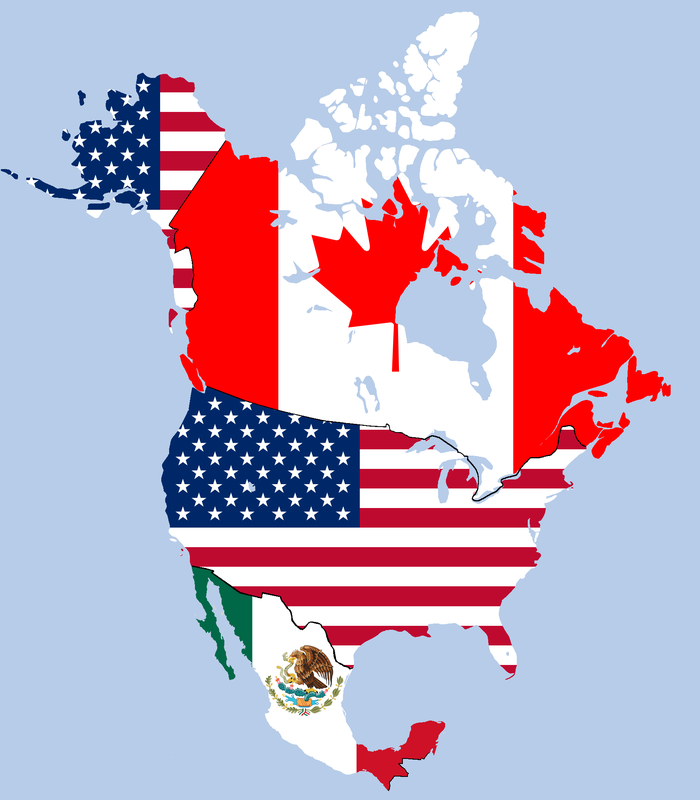 At the 11th hour on September 30, the United States, Mexico and Canada agreed to replace the North American Free Trade Agreement (NAFTA) with a new agreement, entitled the United States-Mexico-Canada Agreement (USMCA). The Trump administration describes the NAFTA replacement as “a 21st century, high-standard agreement” and a template for future trade agreements. This post examines the procurement provisions in the new agreement, including the implications for U.S. suppliers of the surprising omission of Canadian procurement from the Agreement. The USMCA is the first U.S. free trade agreement (FTA) to not include procurement commitments for all parties. While U.S. suppliers will continue to have access to the extensive procurement that Canada covers under the WTO Government Procurement Agreement (GPA), they will lose some benefits accorded under the NAFTA, specifically relating to thresholds and coverage of services. This examination begins with a comparison of Canada’s coverage of procurement under the GPA and NAFTA. Canada’s coverage of entities under the GPA is broader as it binds the procurement of its provinces, while NAFTA has no sub-central coverage. Under both agreements, Canada covers the same federal government entities and government enterprises. U.S. firms access to Canadian procurement will be slightly reduced when lower NAFTA thresholds no longer apply. (Thresholds are the monetary values at or above which procurement is opened to foreign suppliers under an agreement). Canada applies a GPA threshold of $180,000 for its procurement of goods and services by federal agencies, in contrast to its NAFTA thresholds of $25,000 for goods (a carry-over from the U.S.-Canada FTA) and $80,000 for services. For the procurement of goods and services by its government enterprises, Canada applies a threshold of $492,000 under the GPA and $400,000 under NAFTA. (The thresholds are presented here in U.S. dollars). Canada’s NAFTA construction thresholds are much higher than those in the GPA. Under NAFTA, Canada applies construction service thresholds of $10,441,000 for federal entities and $12,851,000 for government enterprises. But, under the GPA, Canada like the U.S. applies a threshold of 5,000,000 Special Drawing Rights (SDRs) ($6,932,000) for all entities. A second way in which U.S. access to Canadian procurement may be affected by the loss of Canada’s NAFTA commitments relates to the different approaches that it uses to define its coverage of services under trade agreements. Under NAFTA, Canada opens the procurement of all services to its partners, except those that it lists as excluded. This negative list ensures coverage of new services that were not in existence when NAFTA was signed, such as cloud computing. By contrast, under the GPA, Canada only allows participation by foreign suppliers in the procurement of the services that it lists. To determine the practical impact of the two approaches would require an examination of the treatment of particular services, which is beyond the scope of this post. Turning to USMCA coverage: Under the new agreement, both Mexico and the U.S. carry over the procurement that they cover under NAFTA. The U.S. replicates its coverage of 52 federal entities and six government enterprises; and Mexico covers 23 federal entities and 36 government enterprises, the same as in NAFTA. There are some differences in Mexico’s inclusion of subordinate entities, but they may be explained by changes in government organization rather than as changes in coverage. The USMCA thresholds are the same as under NAFTA, only updated to reflect the latest biannual adjustments for 2018 and 2019. One new benefit of the USMCA for U.S. suppliers is the exclusion of purchases of textiles and apparel by the Transportation Security Administration (TSA), as required by the so-called “Kissell Amendment” under the 2009 American Recovery and Reinvestment Act. These purchases have been excluded from all trade agreements, except NAFTA and the U.S.-Chile FTA. This exclusion will address a long-standing complaint of U.S. industry. As in NAFTA, the USMCA allows Mexico to set-aside a certain amount of its procurement for Mexican suppliers. It may set-aside annually procurement contracts up to $2.328 billion, with the amounts subject to annual adjustment for cumulative inflation. These may be allocated by all entities, including Petróleos Mexicanos (PEMEX) and Comisión Federal de Electricidad (CFE) (Federal Electricity Commission). However, the total value of the contracts set aside by PEMEX and CFE may not exceed $466 million each year. NAFTA also allows for permanent set-asides: $1.2 billion for all entities except PEMEX and CFE; those two entities were allowed to set-aside $300 million annually. These amounts were adjustable annually, so, it is difficult to compare them with the set-asides allowed under the USMCA. The USMCA text follows closely the government procurement chapter in the Trans-Pacific Partnership (TPP). Where it adds provisions, it draws from the 2014 revision of the GPA. The one exception is an article in the USMCA on “Ensuring Integrity in Procurement Practices”, which generally reflects provisions in other U.S. FTAs. The new agreement, like the TPP, provides for coverage of build-operate-transfer (BOT) contracts. However, Mexico takes an exception to BOT coverage, and the U.S. adds a note that it will give BOT coverage to Mexico when it reciprocates. The government procurement provisions in the USMCA reflect international standards, and are a marked improvement over the NAFTA provisions. However, the coverage provisions fall short of other agreements with their exclusion of Canada and continuation of coverage commitments that are for the most part 25 years old. For example, under the GPA, the U.S. covers 85 entities. In addition, the European Union’s FTAs with Canada and Japan incorporate significant GPA-plus coverage. The new agreement is expected to be signed at the end of November. Once signed, the three countries will undertake their respective domestic procedures. For the U.S. that means congressional approval under Trade Promotion Authority (TPA). But, before Congress can vote, the administration must provide a list of required changes in U.S. law, the implementing legislation and statement of administration action. In addition, the U.S. International Trade Commission must provide its assessment of the Agreement. The USMCA will enter force two months after the last party notifies the others that it has completed its domestic procedures. The Agreement will terminate after 16 years unless the parties agree to continue it for a new 16-year term. It will be reviewed after six years. This entry was posted in Government Procurement, NAFTA 2.0, USMCA and tagged Canada, Government Procurement, Mexico, US-Mexico-Canada Agreement, USMCA, WTO Government Procurement Agreement (GPA) by Jean Heilman Grier. Bookmark the permalink.